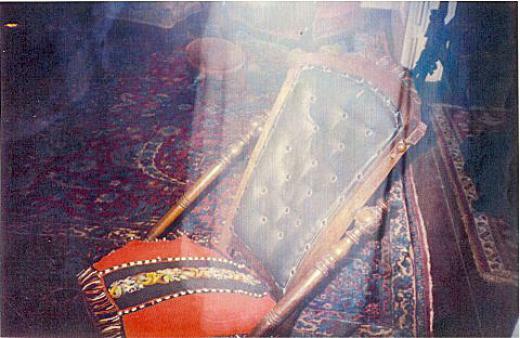 [User Submitted; previous docent] Taking a picture of the rocking chair, and after having the film developed, this is what appeared. Looks like a woman, back towards camera, reaching out her left hand to a smaller hand reaching up. You can see a hem pattern around the bottom of her dress, and the pleats of a bustle. One Response to "Whaley House Mother & Child ghost haunt"